Canton Road Church of God | Just Shooting Memories! When I decide to make a new series of photos, sometimes it is hard to keep that series going. I have not had that problem with my Sunday series of Churches. It must have something to do with living in the southeast. There is a church on every corner and in between. Last week we had a couple days with great clouds and, with this crazy warm weather, trees are starting to bloom. 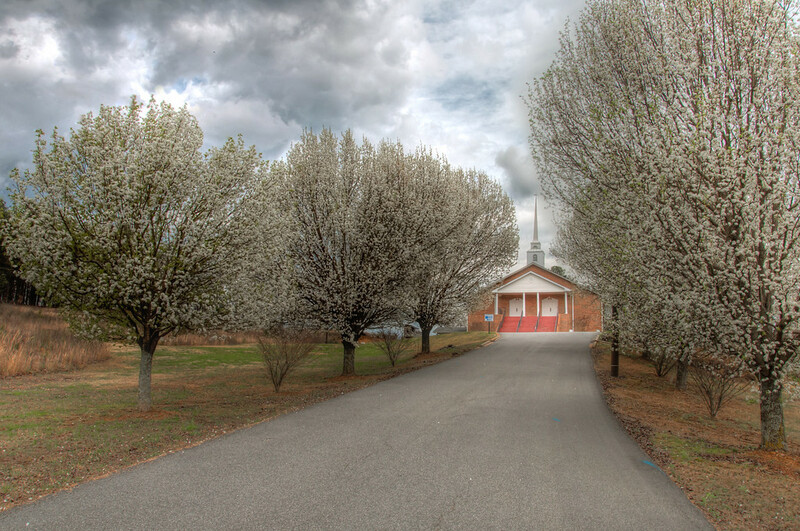 I found this church with its drive lined by these beautiful trees. I see these everywhere, but don’t know what they are.